I really like the sounds of the concealer buffer! These brushes are lovely too. I love anything rose gold! These brushes are so gorgeous! I don't need anymore but these look so pretty, I really want them. But... I have so many. :'( Lovely photography too. These brushes look amazing and so soft! I love the rose gold colours as well! Pretty pretty! These look so gorgeous, I have been eyeing these brushes for ages! Who doesn't love rose gold! Such a stunning brush set, love these! These have been on my wishlist for a while! They're so pretty, I love how rose gold handles look with the black. Glad to hear you like them a lot! 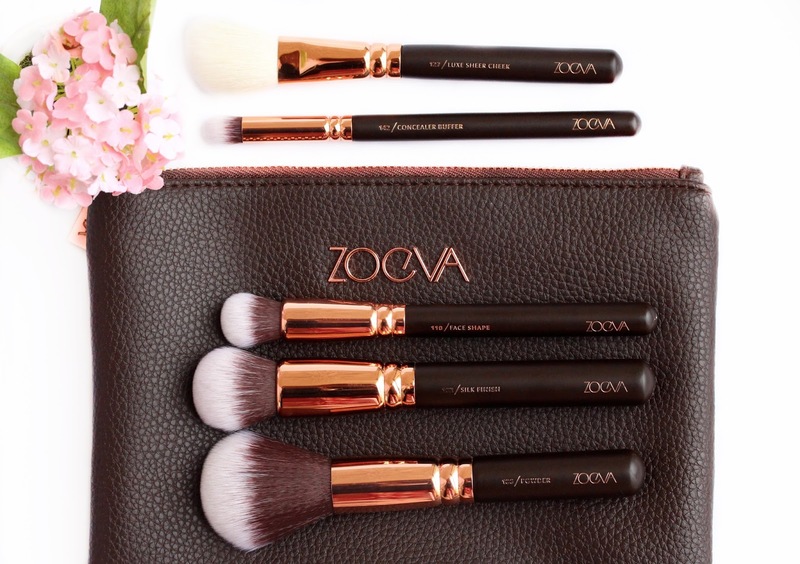 I have been seeing the Zoeva makeup brushes everywhere, seems like it's a new trend ;) would love to try them myself, love the packaging and the bristles looks super soft. These are just so gorgeous. Defiantly on my wish list when I need a new set. These brushes are beyond stunning. I have the Zoeva bamboo brush set and I love it. But this looks gorgeous! It's definitely going onto my wishlist. Soooo wann try a zoeva brush. These are beautiful, almost too good to use! I have heard and read so much about this brushes. mmm they sound really good to me! I never thought brushes could be so beautiful, hopefully one day i'll get my hands on then. These brushes are beautiful! I've heard alot about the brand lately, so naturally I'm curious. I can't get over how gorgeous this set is, I've been obsessing over them for so long! They're at the top of my wishlist!